Do you need or want to make some extra cash every week from home? If you are a stay at home parent, retiree, student, or you are working full-time but need another side job to earn extra money, you can easily make an extra $100/week or $400/month from home to supplement your household income. You could use that cash to boost your savings account, pay off your debt faster, or do the things that you enjoy. 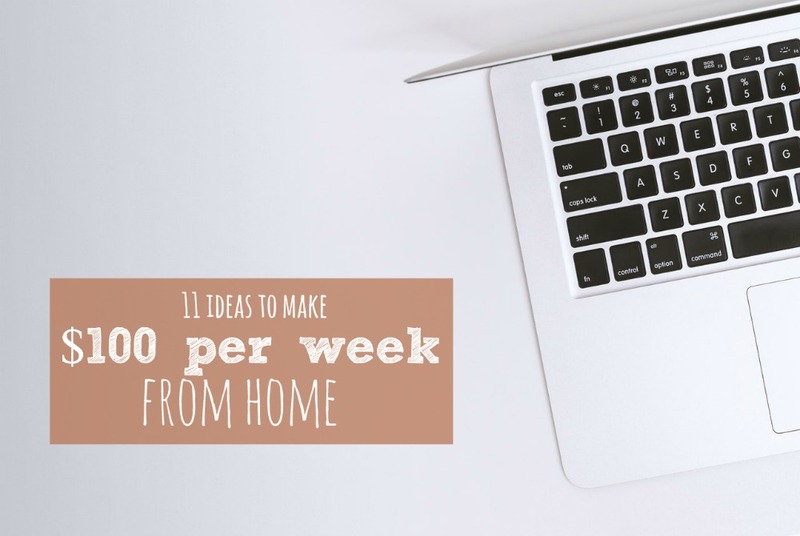 It is possible to make hundreds of dollars per week from the comfort of your home but if you want to make at least $100 per week from home, there are many ways to make that cash every week from home. You may need to try a few of a few of these options below to add up to $100 per week while in other cases, you may be able to earn that amount with a single online job. Here are 11 great ways to make an extra $100 every week from home. You can make a little extra cash every week by completing surveys online on your computer or smartphone. Sign up for a few reputable survey sites and complete as many surveys as possible each week. They will not make you rich, but earnings can really add up over time. Cash out your earnings when you reach the threshold amount. You can put that cash towards an emergency savings account. You can make anywhere between a few cents and a few dollars per survey, depending on the survey site and the length and complexity of the survey. Some of the top survey sites include iPoll, MySurvey, MyPoints, i-Say, Vindale Research, Swagbucks, Valued Opinions, Toluna, PinCone Research and GlobalTestMarket. If you can complete several surveys every day, you could make $50 per week from online surveys easily. Website testing jobs usually involve visiting a website, completing a set of tasks like finding a particular section on a site, then offering your feedback about the user experience via video and audio recording. Sign up for UserTesting, Userfeel, Whatusersdo, TryMyUI and Userlytics sites that offer website an app testing jobs. You will earn $5 to $15 per test, depending on the job and the site offering the job. UserTesting is a site that offers website and app testing jobs. The site pays $10 per test. Here is a list of places that pay you test websites. If you are skilled at a particular academic subject, you can tutor students of all ages from home. There are many online tutoring companies/sites that are looking for online tutors to tutor students via their sites. If you have a college degree and can tutor students on a particular subject, sign on with a tutoring site to earn money from home by tutoring students online. You do not need a teaching background to be able to earn money tutoring online. A few reputable online tutoring sites that will help you land online tutoring jobs include Tutor.com, TutorVista, Chegg Tutors, Aim-for-A, Chegg, Student-Tutor, Revolution Prep. Here’s a list of more places to check out. If you have a marketable skill, you can advertise it on Fiverr and make money by selling services using that skill. You can sell services like writing, web designing, graphic designing, virtual assistance, SEO, social media marketing, programming, tutoring, etc. serious services to not so serious services like doing pranks, singing a birthday song, writing a love letter, doing a silly joke, etc. Sign up as a Fiverr seller for free. Create a ‘gig’ that you are willing to do for others. You can charge $5 or more for what you want to do for others. For example, you can create a gig like “I will write a 500-word article on any topic for $20”. You can add add-ons to your gig to increase your earnings like “I will write an extra 300 words for $5”. Sellers can offer 3 different packages in each gig. You can create multiple gigs up to a certain number. When a buyer orders one of your gigs, you will deliver the gig to get paid by the buyer. If you have skills in a particular area like writing, editing, proofreading, web design, graphic design, internet marketing, programming, teaching, virtual assisting, sales and more, then you can use your skills to make money from home as a freelancer. Register as a freelancer on sites like Upwork, Freelancer, PeoplePerHour, and Guru listing your skills. Then you can bid for freelance projects that are posted by companies and individual to these sites. The clients then review the bids placed by different freelancers and can hire the freelancers based on factors like the freelancers’ relevant skills, price, location, etc. These sites will take a small cut from your earnings each time you get paid by a client. This work from home job is particularly ideal for stay at home moms. No matter where you live, people are looking for babysitters everywhere all the time. You can babysit at day or night. So, if babysitting appeals to you, there is a lot of babysitting jobs online. Check out Care.com and other sites. You can also advertise your services locally to get babysitting jobs. Babysitting jobs really pay well. You can make $18 or more per hour, depending on your location. You can make great money in little time. If you do a few hours a week, you can make $100 or more a week easily. Freelance writing is a great way to make money fast every week from home. If you have a knack for writing, you can write articles for websites about your favorite topic. If you have online researching skills, then you can write on many different topics to earn more money from home. 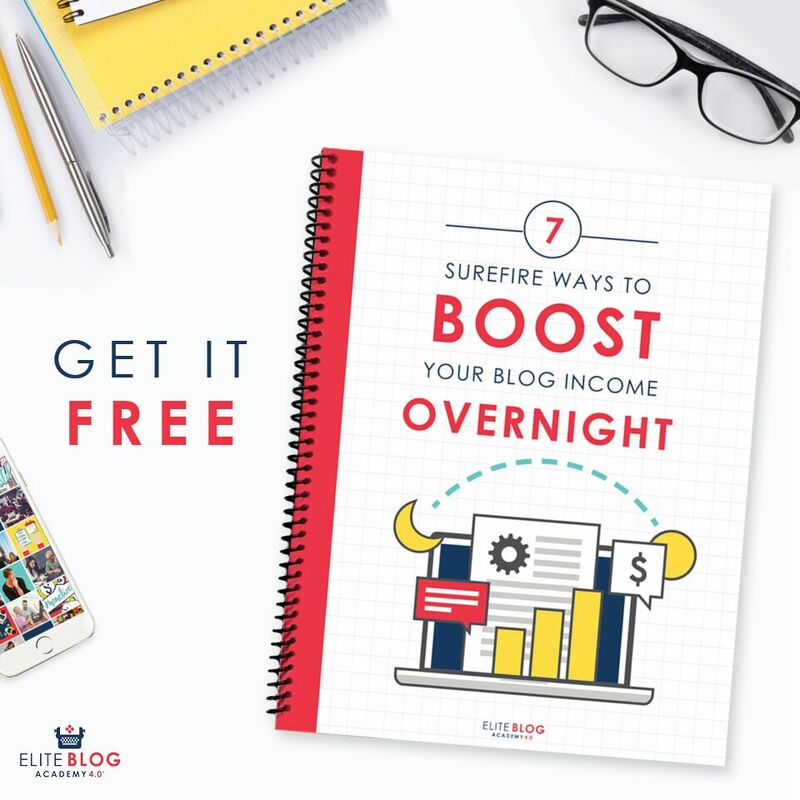 There are numerous sites that will pay you to write informative and engaging articles, blog posts and web copy on a wide range of topics. There are many different types of sites that will let you make money from freelance writing. You can write articles for clients via article writing sites like Textbroker, iWriter, Online Writing Jobs, and more. You can bid for writing jobs posted by clients to freelance sites like Upwork, Freelancer, and Guru. There are many sites that will let you submit articles online directly to their sites and pay you for each article that is approved. Some large sites hire freelance writers such as Wise Bread, wiseGEEK, LoveToKnow on many different topics. These sites typically pay a flat fee per article. You can also make money from your pre-written articles by selling them via content or article marketplaces like Constant Content, ArticleSale.com, etc. Do you spend a lot of time on social media sites, especially Facebook, Twitter, Pinterest, and Instagram? Do you know how social media sites work? Today, companies and individuals use social media to promote their products and services and build brand image. Many small companies and professionals do not have the time or expertise to manage their social media accounts. You can use your social media skills to manage social media accounts of these small companies and professionals and get paid to do so as a social media assistant or manager. Typical tasks, that you may have to do include post content to your client’s social media pages, schedule posts, create a Facebook page, moderate content, increase following, and more, depending on your client and your skills. You can find social media jobs on different kinds of sites like Upwork, Freelancer, Media Bistro, FlexJobs, Fiverr, etc. sites. How much you can earn will vary based on your skills/experience, the job, and the client. Do you use search engines often to find information about various topics? Do you have knowledge about how search engines work? Then you can make money from home becoming a search engine evaluator. Search engine evaluation jobs involve analyzing search engine results returned by a particular search engine in response to a query that you make by entering a question or keywords in that search engine’s search box. Search engines like Google hire search engine evaluators to provide feedback on the accuracy and relevancy of search results based on a particular search term or query, known as keywords. Your feedback will help the search engine evaluate and improve their search listings. You can earn anywhere between $10 and $15 per hour so if you can work a few hours per week, you can earn $100 per week from home. There are some companies that hire for search engine evaluator jobs such as Lionbridge, Appen, and Leapforce. You can get paid to share your knowledge with others online. If you have expertise in a particular topic like computer, engineering, health, home improvement, medical, etc. and have excellent online research and writing skills, there are some sites such as JustAnswer, Experts123, and Wonder that will pay you to research and answer questions submitted by their clients. So if you have excellent online research skills and expertise in any specific area, then you can get paid to research and answer people’s questions online on that topic. There are some sites that will let you earn money by doing small tasks online. Amazon Mechanical Turk and Clickworker are sites where you can get paid to do tasks like taking short surveys, data entry, transcription, translation, writing short articles or blog posts, etc. On Amazon Mechanical Turk you can get paid to find an image in a picture or video, finding information on the web, and more small tasks. These tasks are often tedious and pay a very small amount of cash per task but they take very little time to complete. There are many more ways to make extra income from home such as doing data entry, bookkeeping. virtual assistance, photo editing, video editing, SEO, graphic design and web design jobs. You can sell your own arts and crafts via online platforms like Etsy. You can also start a blog or e-commerce store but this will take some time before you can start making money from them. 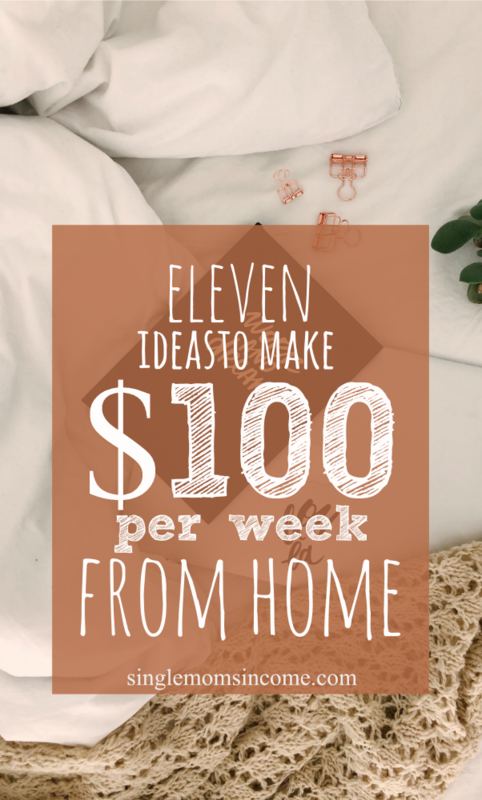 If you need some extra cash each week from home, try these above ideas to make an extra $100 a week from home. Some of these ideas can lead to full-time income every month, depending on your skills and how much effort you put in. I just wanted to thank you for this post. I think it’s really helpful. I’ve been unwell for some time and need to slowly get back into earning (or starve! Lol). It helps having an entry point and your article is it! I’m glad it could help and best of luck to you!